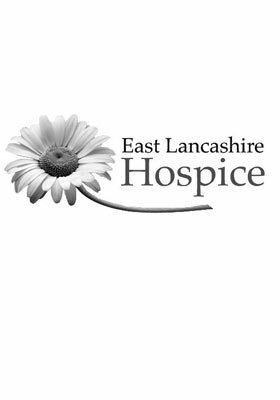 WEC Group Director Marlene Hallewell today handed a cheque for £2,000.00 to the East Lancashire hospice. The donation will enable the hospice to continue providing patients with high-quality care and extras which will benefit them in many ways. The hospice opened its doors in 1984 to provide specialist care for individuals suffering life-limiting illnesses, and those in need of end-of-life supportive care in Blackburn, Darwen, Hyndburn and Ribble Valley. WEC Group has been providing on-going support to the hospice for several years because of the company's focus on supporting the local community and its residents. WEC Group Director Marlene Hallewell explains: "I am proud that WEC Group supports the local community in as many ways as possible. The £2,000.00 donated to the East Lancashire Hospice will aid locals most in need of our support, and as a company we will continue to strive to raise money to benefit the local community"
The £2000 donation for the hospice has been raised using several collection avenues including the Group's annual award ceremony held at Ewood Park, Blackburn. The Group also held a 2012 Christmas raffle for its employees, donating all proceeds to the cause. Additionally, this year the Group has donated a Spitfire memorial sculpture to the town of Darwen, and has been selling stainless steel mini replicas to help raise money for the hospice. The Group is locally renowned for its community contributions and donations, and annually accepts projects from local authorities provided they will in some way benefit the local community. The Group donates regularly to several charities including Macmillan cancer support, and hosts an annual charity golf tournament which benefits local charities and associations; WEC also sponsors several local organisations such as 'Darwen Days', a website dedicated to preserving the town's history. Marketing manager, Jean-Yves Dziki comments: "The Company never stops raising money for one cause or another. There is a great deal of passion and effort which goes into fundraising at WEC Group, and we are delighted that we have raised another £2,000.00 for the hospice which works so hard to improve the lives of local individuals in need of support"